Designed to be an improvement on BMW’s heavily compromised RHD factory manifold set, our product offers a 24% improvement in flow when compared to the standard item. This translates to improvements in both power and torque outputs from BMW’s last M30 incarnation. 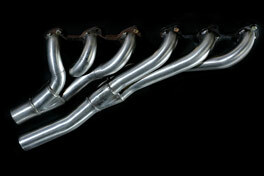 This manifold set is not compatible with BMW’s original factory system.